We all enjoy denial, and who could blame us? Mortality salience is a strange thing! And yet. Many of us accept that we’ll die someday, and we do want to talk about it, do want to prepare, do want to get our things in order. I believe that when the time comes, most of us care to do it right. With our chins up! Our hearts brave! If we can make friends with death—even a bit—well, we will have done ourselves (and others) a great service. So, welcome to Making Friends With Death . . . a spunky, practical, and honest talk, book, and support system dedicated to helping us journey into the final frontier. And . . . why me? Because I’m just a mere mortal, and I paused my usual career of writing fiction and reporting to write a book and speak about the thing that I needed to face. Making Friends with Death broaches the sacred and the scary with warmth, research, and humor. 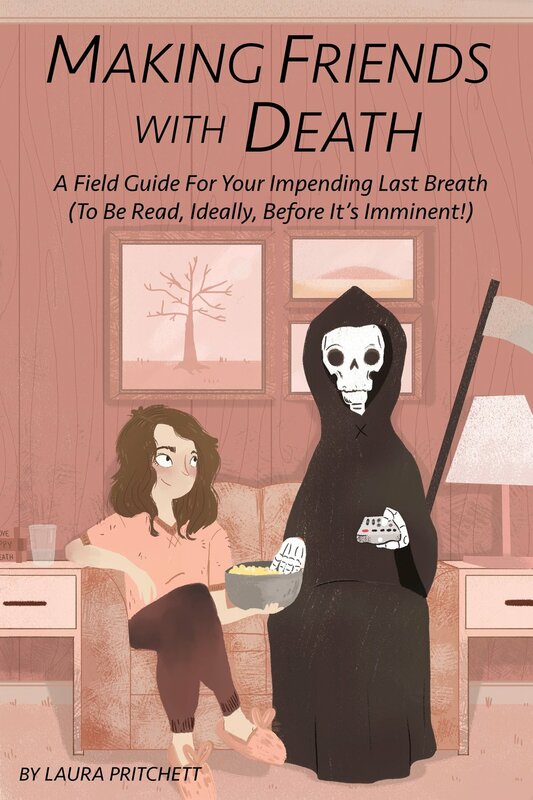 Interspersed with a variety of workbook-like exercises, this book will prove to be the go-to companion for anyone who would prefer to greet death as an old friend, rather than a spooky stranger. “As a practicing clinical psychologist, I exhort all my patients to confront their fears and adversities head-on — rationally, courageously, with grit and determination. 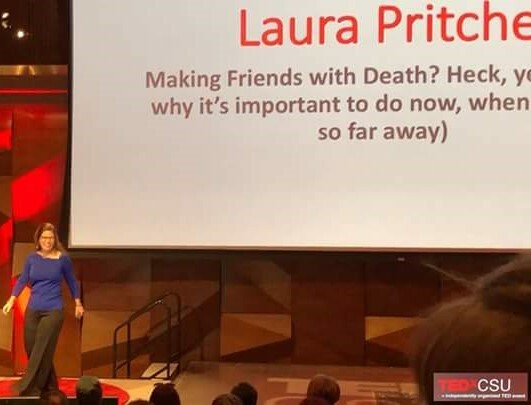 This is exactly what Laura Pritchett does in her much- needed self-help book, Making Friends With Death. She shares a veritable cornucopia of personal experiences, strategies, perspectives, and workshop-like exercises to demystify, intelligently prepare for, and gracefully manage this most daunting of all of life’s challenges — our passing. Written in an accessible style fused with warmth, humor, and wisdom, it should be on everyone’s got-to-read list and part of every clinician’s library.” ---- Russell Grieger, Ph.D., author of The Couples Therapy Companion, Unrelenting Drive, and a memoir, The Perfect Season. About Laura pritchett . . .
talks and workshops . . .
Death is serious business. Getting bad news hurts. And coping with fear is no laughing matter. And yet. A little humor, and a lot of practical advice, and some serious wisdoms -- well, that can help. In Pritchett’s spunky talks, she explores the uncertainty that precedes the final certainty. 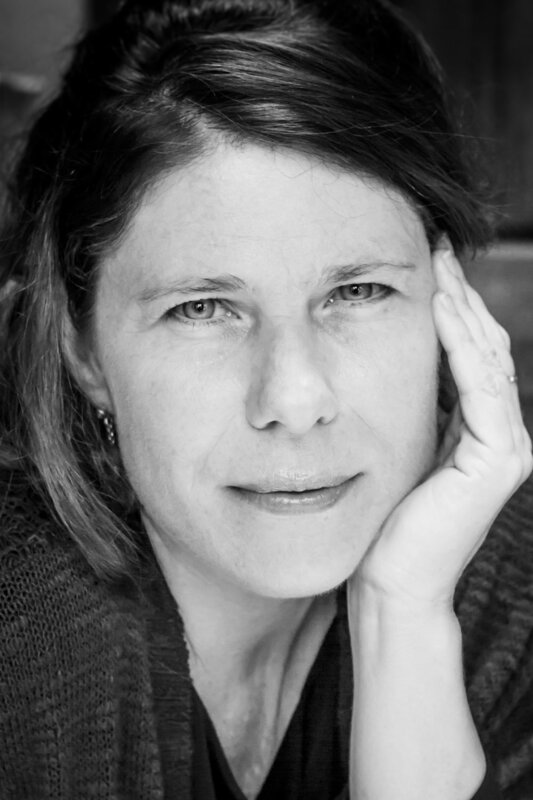 Her talks offer a compelling mix of practical how-to advice, personal narrative, and wisdoms from around the world. Based on Pritchett's own quest for a peaceful death at a time when it felt very near, her talk encapsulates all she learned over years of research, interviews, and plain-and-simple crazy questing to make some sense of our greatest quest—to die with our chins up, our hearts brave, and our souls at peace. Contact Pritchett directly for speaking engagements at laurapritchett.lp@gmail.com. Recent reviews, posts, and radio . . .